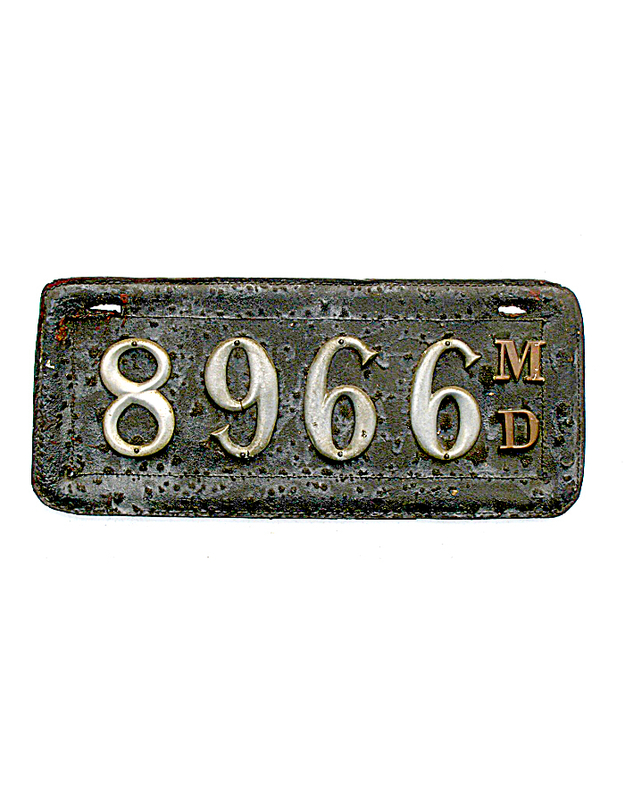 Maryland began licensing automobiles statewide in 1904 in typical pre-state fashion. 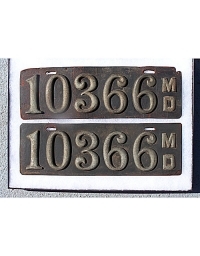 Motorists registered with the state, received a numbered certificate in return, and made license plates to suit themselves. 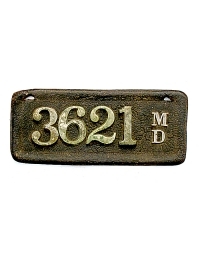 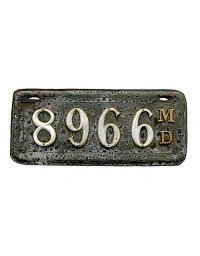 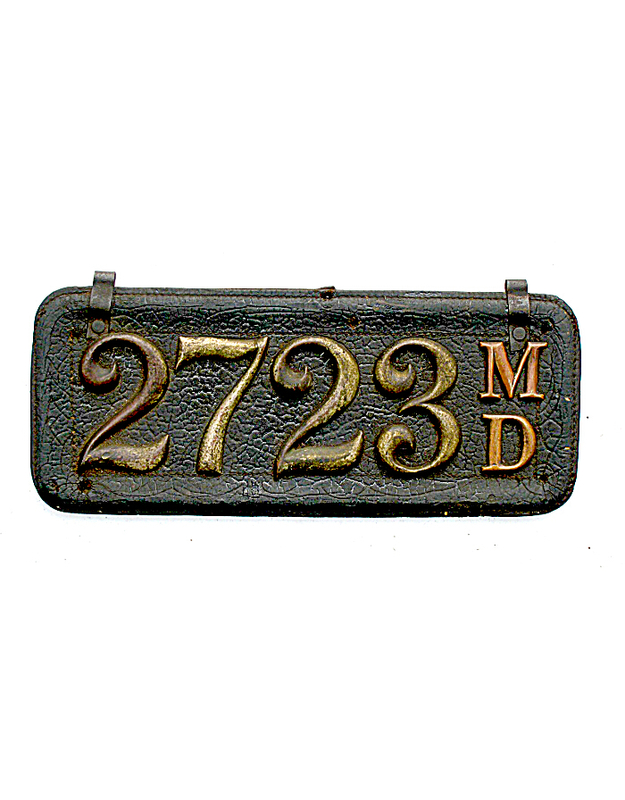 Maryland continued the pre-state system through 1909; that state’s first official government-provided tag was dated 1910. 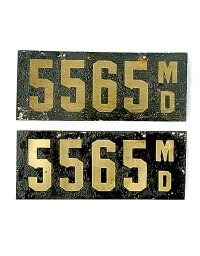 Over 9,000 registration numbers were issued, but this state’s pre-state licenses are actually quite difficult to obtain since many, if not most, were made without the state’s initials since the law did not require it. 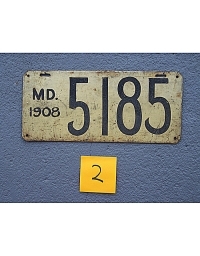 Motorists from Washington, D.C. were required to obtain a Maryland number if one wished to cross outside the city boundaries. 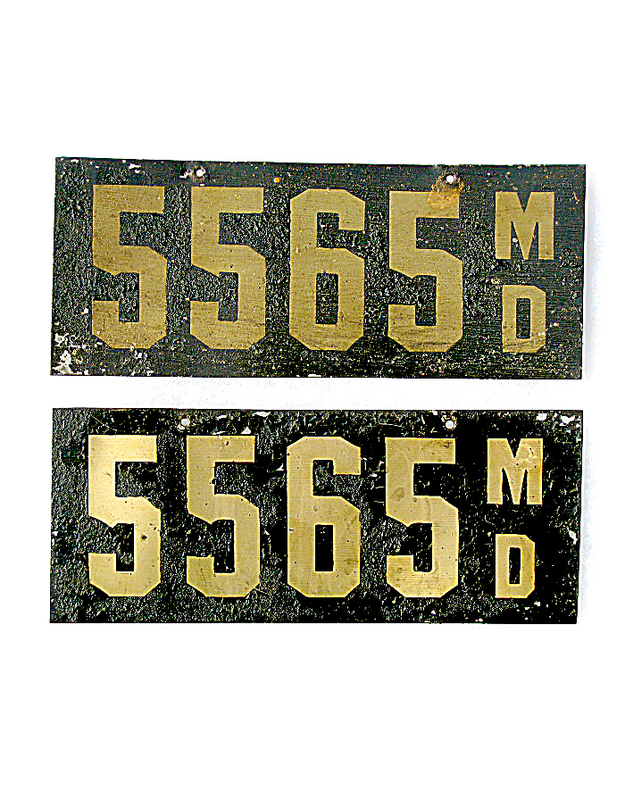 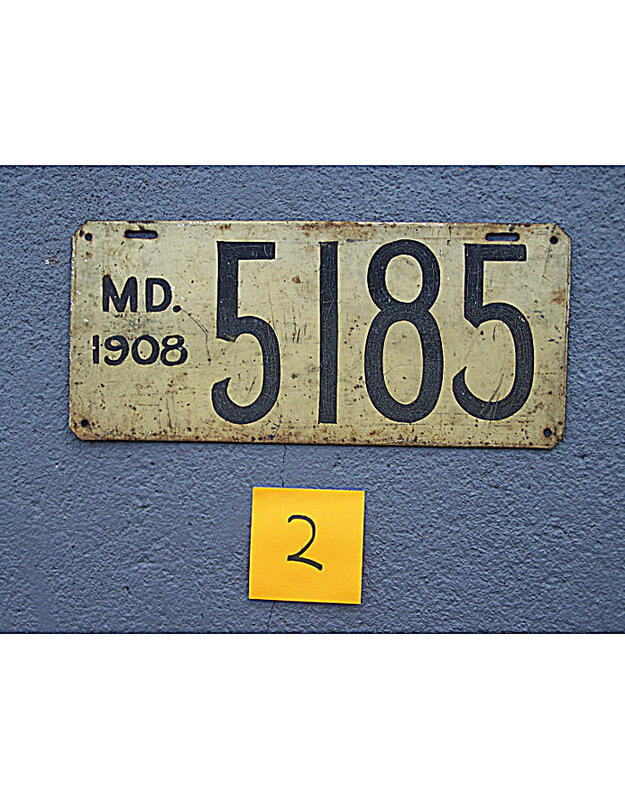 It is primarily those tags used in and around D.C. that have the Maryland state initials, to distinguish them from Washington numbers which were also required to be displayed on a separate license pad. 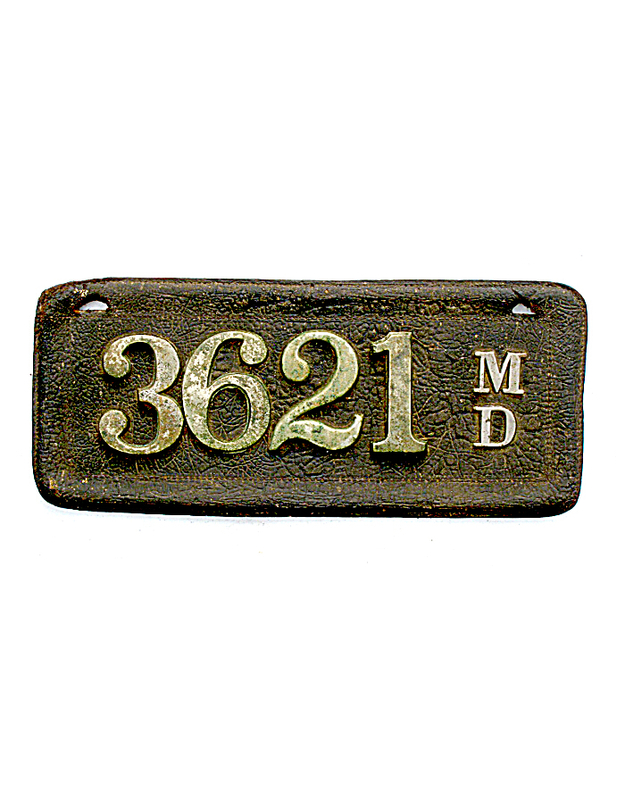 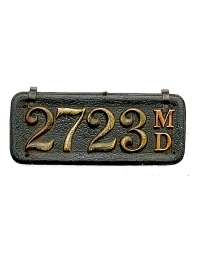 Motorists in and around Baltimore – the state’s major population center at the time – would have had no need to use the “MD” designation on their plates, making true Maryland pre-states somewhat scarce. 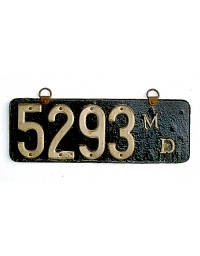 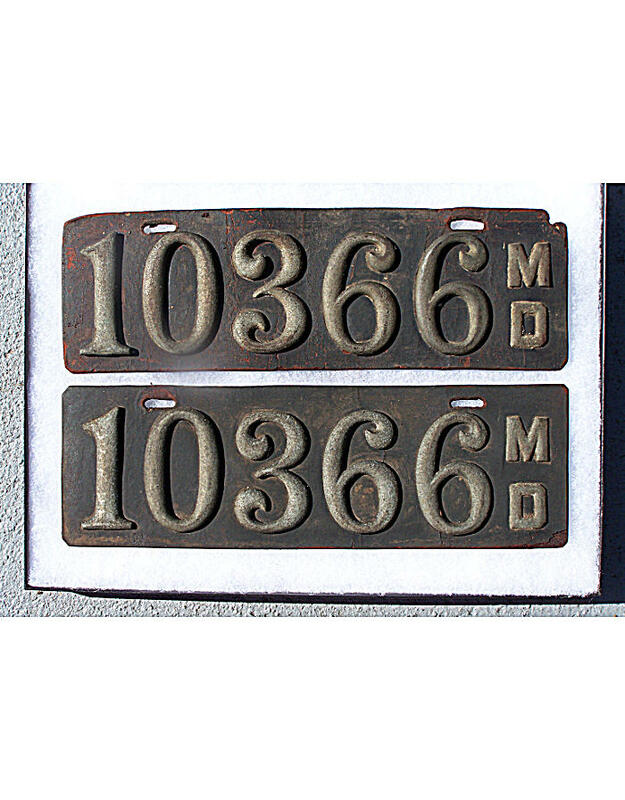 There were no local license plates used in any Maryland city or town during the pre-state era.